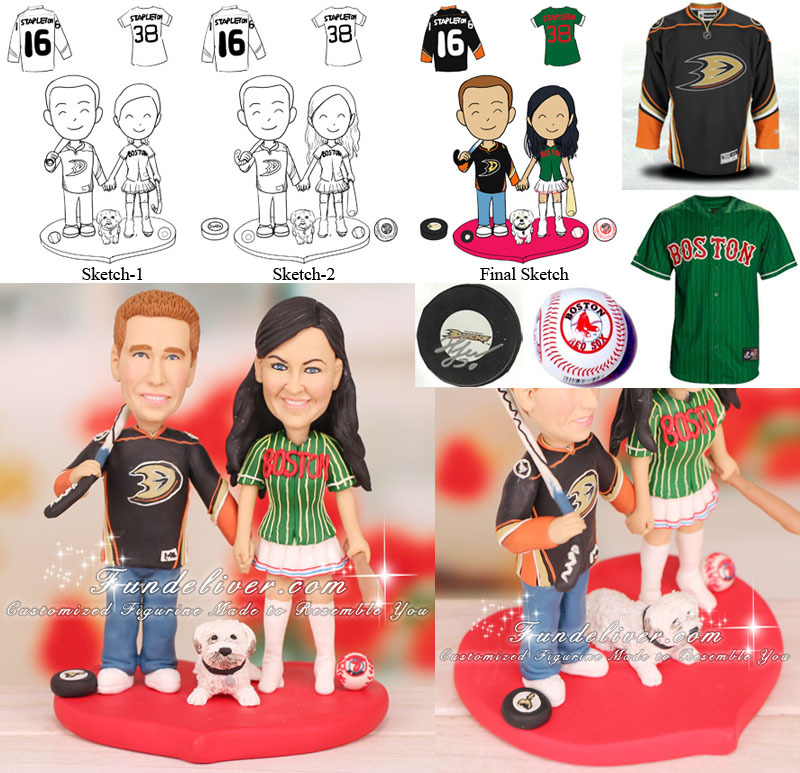 This is a completely customized NHL hockey theme Anaheim Ducks wedding cake topper ordered by one of our customers. The groom is a huge fan of Anaheim Ducks and the bride is a huge fan of Boston Red Sox. 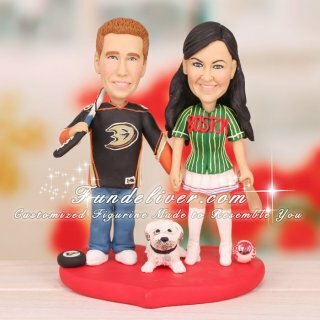 They would like the groom to be holding a hockey stick, wearing jean pants and Anaheim Duck jersey with their married name STAPLETON and number 16 on the back. For the bride, they would like her to be holding a baseball bat, wearing a white cheerleading skirt and Boston Red Sox jersey with their married name STAPLETON and number 38 on the back. The bride wanted to add her dog Hurli on their wedding cake topper, although she was the ONLY one that voted for Hurli to attend their wedding, it was not approved. So she wanted to add Hurli on their cake topper for an alternative way to incorporate her dog in their wedding.